This is a copy of the January 20th edition of our weekly Newsletter, which we have been publishing since October 2015. 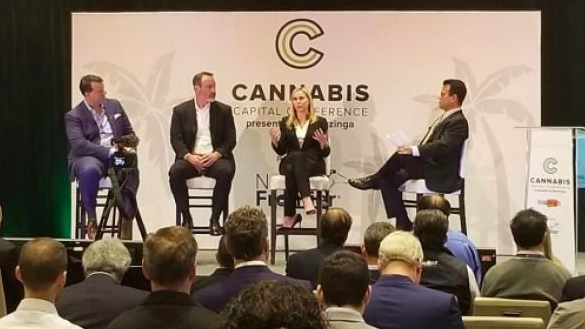 One of the most interesting panels at the highly successful Benzinga Cannabis Capital Conference in Miami this week was one that we moderated “Town Hall Panel: MSOs Respond To A Changing Landscape”, which included Kim Rivers of Trulieve, George Allen of Acreage Holdings and Steve White of Harvest Health and Recreation. In contrast to the scenario in Canada a few years ago, when substantial amounts of capital were invested in companies lacking material revenue, investors in the multi-state operators are able to invest in companies already scaling up. 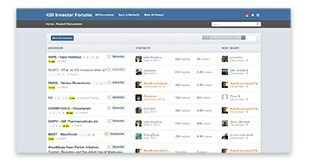 The three companies represented on the panel generated a combined $45 million in revenue just in the most recent quarter. Another difference between Canadian LPs and U.S. MSOs is that the LPs, at least in Canada, serve essentially a single market, while the markets a MSO serves can vary greatly. Trulieve, for example, is active now in California and Massachusetts after recent acquisitions that are small in scale initially and generates all of its revenue from Florida, where it has dominant market share. Harvest has generated most of its revenue in Arizona but has won licenses in Pennsylvania and is active in nine other states with planned expansion in three others. Acreage has a large footprint as well. Investors should stay on top of state-by-state trends. On the panel, one thing was quite clear: The MSOs see California as a big opportunity now that the state’s new regulations are finalized. All three of the panelists and many other large MSOs, including several publicly-traded companies, are active in Florida, which saw some good news this week, as sale of dried flower will likely soon be permitted. Additionally, the cap on dispensaries could be eliminated, and this all comes as the new governor is rumored to be favoring full legalization in 2020. While the New York medical market has been slow to develop, it has improved significantly, encouraging several publicly-traded MSOs to position themselves for a first-mover advantage in the state which is likely to legalize, though some initial guidance from Governor Cuomo this week was problematic, as cultivators may be prevented from owning retail stores. While we expect that this restriction will ultimately not be imposed, it serves as a reminder that things change fast in the cannabis sector, with each state having its own unique dynamics. Finally, we think there is a reasonable debate that will develop regarding operating everywhere versus being good in selective markets. Jonathan Sandelman of Cannabis Strategies Acquisition Corp. raised an excellent point in an exclusive interview published on New Cannabis Ventures that the industry may not yet have a deep enough pool of talent and that there could be some execution risk consequently. Capital allocation, strategy, focus and execution will all play a role in the success of the MSOs in the years ahead. 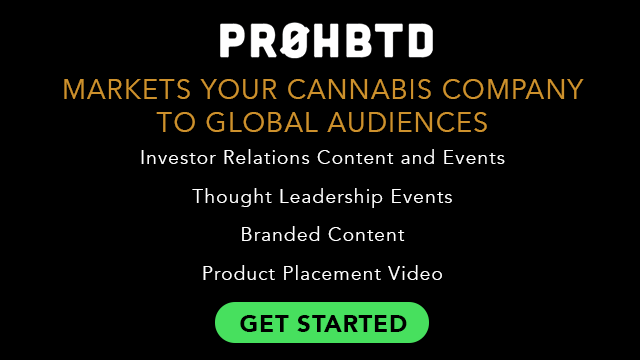 This week’s newsletter advertiser is a heavy-weight in main-streaming cannabis and is at the forefront in media production. Based out of Los Angeles, PR0HBTD has built a destination for the modern cannabis enthusiast. The company owns an original content studio and a multi-platform video network, producing content with powerful distribution and publishing smart, branded content. Well capitalized with veteran executives, PR0HBTD can help market your brand globally.